Buy online Photoelectric Speed Sensor in India at low cost from DNA Technology, Nashik. 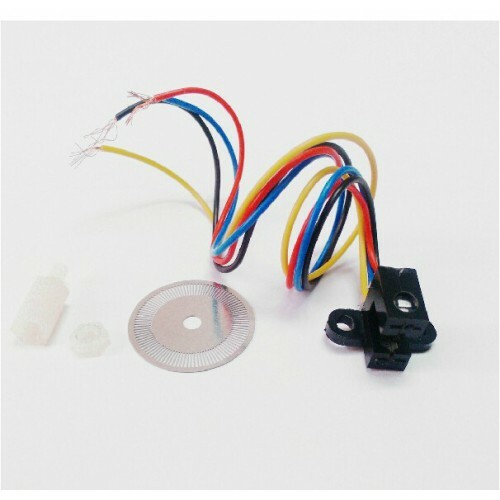 Whether you’re building a small robot or using any kind of motors in your projects, it might be useful to know the speed at which your are driving them. 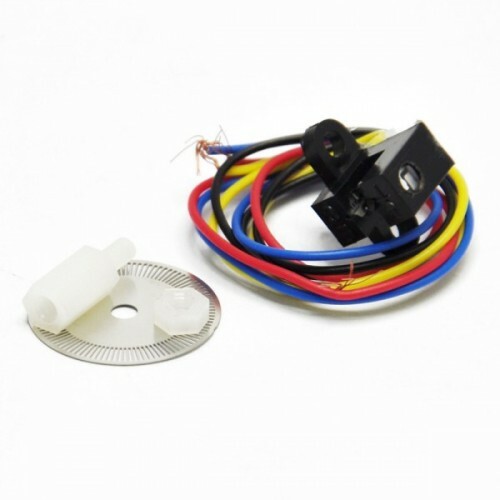 This speed sensor kit uses a disc with holes (encoder disc) to block the infrared beam, thus by counting the number of times the sensors goes from Low to High we can calculate the number of revolution for a given time period.